In 1914 the world changed. Europe's great powers were dragged, one by one, into a war by Serbian conflict which affected very few of them directly. At least it would resemble the short sharp battles of the previous century, many thought - fought with military bands, horsemen, and swift victories. But 1914 proved to be different, a watershed, as old notions of war were trampled in the mud. 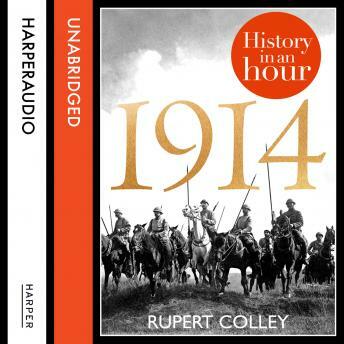 '1914: History in an Hour' is the indispensable overview of the year that marked the end of the Belle Époque and the shocking birth of modern mechanised warfare. It became a war of unimaginable horror, fought with terrifying new weapons that produced death on an industrial scale, a war that involved so many nations and reached into the fabric of their societies. 1914 shaped the First World War, and the years beyond.